There aren’t a lot of heroes in Julie Schumacher’s new novel. SAGLRROILYBYGTH will be able to imagine my surprise when I discovered Schumacher’s surprising exception. It wasn’t really the main character, a crusty and cynical novelist and chair of the English Department. It wasn’t even the out-of-touch Shakespeare scholar who insisted on keeping the liberal arts in a liberal arts college. No, the only character that came out as truly sympathetic didn’t come out of the world of elite higher ed but rather from the closed-off world of evangelical home schooling. And it leads us to a bigger question: Do the conservative skeptics have more allies in mainstream higher-ed than they realize? I don’t want to give away too much of Schumacher’s plot, so I’ll tell my own story instead. When I first took my current job, a friend in the English Department of the high school at which I worked gave me a copy of Richard Russo’s Straight Man. Straight Man was my introduction to the field of higher-ed satire. In the novel, a bumbling hero fights to keep college less insane. As the imagined traditions of liberal-arts education crumple in the face of careerism, credentialism, and ruthless bottom lines, Russo’s straight man can only offer ridiculousness in protest. More recently, one of my current colleagues recommended Schumacher’s fantastic higher-ed satire, Dear Committee Members. Schumacher offered a witheringly on-point send-up of today’s higher-ed scene, with embittered English professor Jay Fitger revealing through a series of recommendation letters his dwindling influence at Payne University. Hilarious and bitterly accurate. So it was with a lot of eagerness that I finally got my hands on The Shakespeare Requirement. In this novel, Jay Fitger is back, and Payne University is still wallowing in the unenviable position of a small liberal-arts college. In a nutshell, the plot revolves around an attempt to bring the school—and its wacky English Department—into the contemporary world of mainstream higher education. External funding rules the campus, and notions such as knowledge for knowledge’s sake are out the window. Under pressure, the English Department eliminates its requirement of a Shakespeare class for all English majors. Antics ensue. All told, I’m pretty disappointed by the novel. It does not capture the wit and weariness that made Dear Committee Members so good. But it does include a curious celebration. Few of the characters or types come off well in the novel. Students are lazy and selfish. Professors are either grasping or clueless. The administration is, at best, pathetic. The pile of paperbound workbooks (Broad Horizon: A Christian’s Historical Perspective) next to the chicken-and-egg-shaped salt and pepper shakers on the maple table where she had completed her schoolwork at home. Unlike most of the young women in the room, who dressed as if stopping by class on their way to a nightclub, she wore a homely denim skirt and white buttoned blouse. Evinced a startling ability to think clearly, express original ideas, and write. At Payne University, in any case, such abilities make Angela stand out. Her modesty, temperance, and hard work are a stark and startling contrast to the rest of the student body, and even to the debauched faculty. Indeed, if this novel were to some from some of the usual conservative suspects—higher-ed critics such as Rod Dreher or Peter Wood—it wouldn’t be very interesting at all. 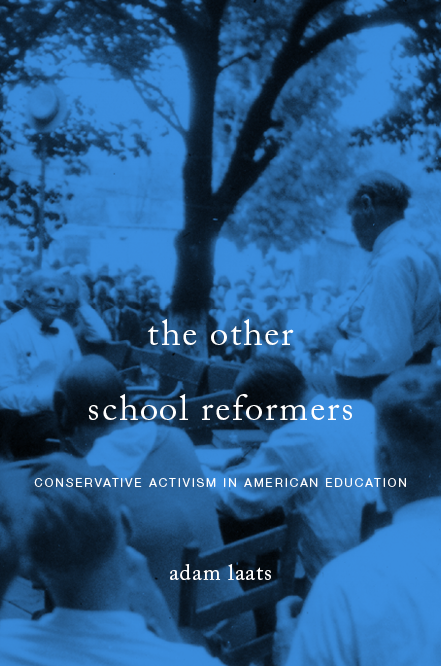 But as far as I can tell, Professor Schumacher is no conservative. The yearnings of her characters are not for a purer, Christian society. Rather, Jay Fitger is utterly adrift, and at times, sympathetically so. In the end, The Shakespeare Requirement is, like Professor Fitger, rudderless. Yet even from that position of cynical drift, Schumacher seems to yearn for a better world, one that can only be maintained by fundamentalist strictures that no one can abide.